Brian’s experience stems from being a former salon owner with great deal of time devoted to session work and facilitation background. This insight helps forge Brian’s teachings to other salon owners and stylists to grasp the purpose of how their educational pursuits can increase their revenues. Read more about Brian Here. Brian Bowman is a dedicated and devoted artist for the Redken Brand. He stands as a known leader and International facilitator in the arena of design and coupled with his strong background in editorial styling – he is able to complete a whole look from start to finish. 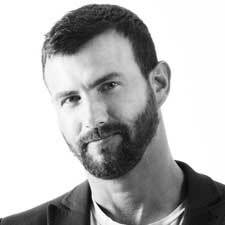 As a celebrity hairstylist in Beverly Hills California, Brian helped perfect looks for his high profile clients. Bringing class, a sense of humor and knowledge into the educational experience – Brian is definitely wonderment for all students to really enjoy and learn a lot from. Some of Brian’s experience stems from being a former salon owner with great deal of time devoted to session work and facilitation background. This insight helps forge Brian’s teachings to other salon owners and stylists to grasp the purpose of how their educational pursuits can increase their revenues. Even though he is skilled in cutting-edge trends, his core belief and philosophy is making looks that can be used the second the student leaves the program. Most recently Brian has styled and cut for such celebrities as Sting, Bruce Springsteen, Robert Downey Junior, and Ryan Gosling. His work can be seen in Flaunt Magazine, Elle and Harpers Bazzar as well as on for television casts Vampire Diaries, One Tree Hill, and many others.